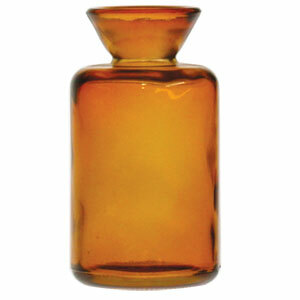 5.1 oz Amber Funnel Reed Diffuser Bottle is a classic design suitable for any size diffuser reeds. 4 3/8" tall, 2 3/4" diam. 5.1 oz. 7/8" opening. Suggested Oil Quantity: 4 oz. minimum. For long-lasting fragrance it holds 5.1 oz Amber Funnel Reed Diffuser Bottle.